I can't believe this is Memorial Day weekend! I'm so glad it is, but wow! Bring on the summer: swimsuits, flip flops, sidewalk chalk, ice cream shops...we are so ready! 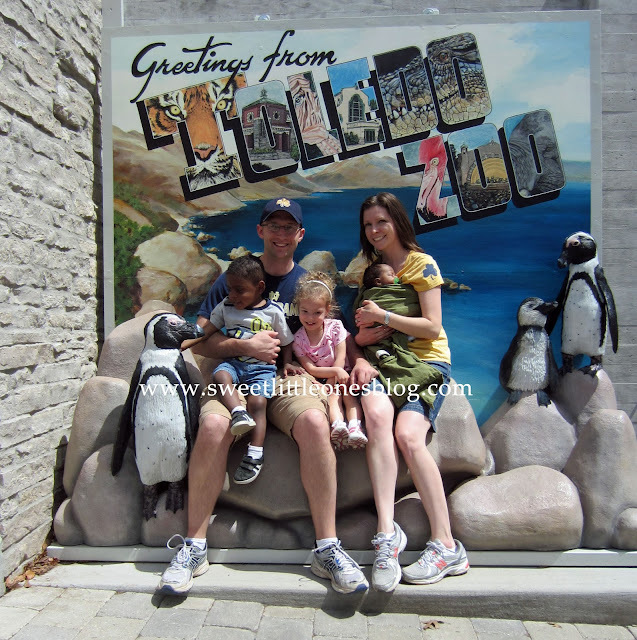 I created a list of all the fun things we want to do together as a family this summer. All of them are low or no cost, which is perfect. We're going to have a blast this summer! My kids love playing with sidewalk chalk! It is one of their favorite things about summer. 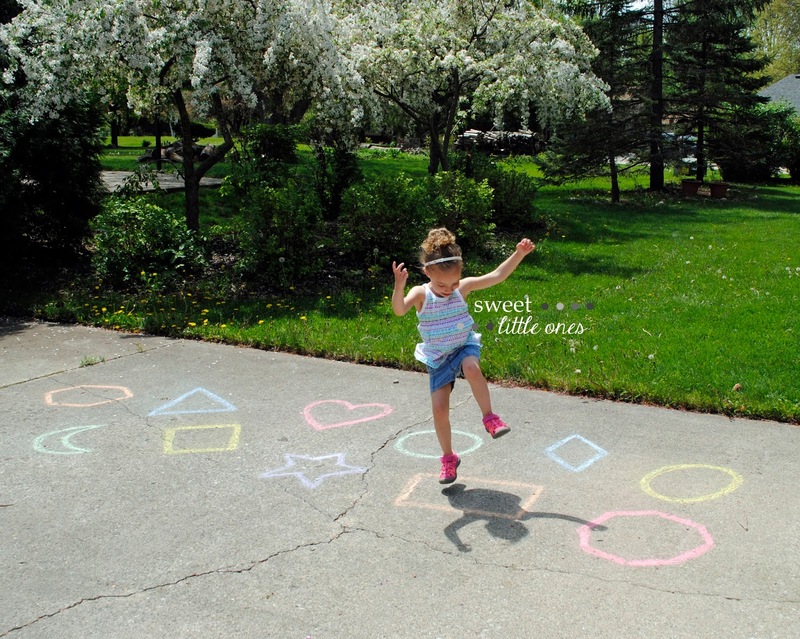 So to go along with our Summer Fun List, I put together a huge list of over 40 games and activities you can do with sidewalk chalk. Several are favorites of ours, and others are new ones that I can't wait to try out with the kids. This list is going to keep us entertained all summer long! 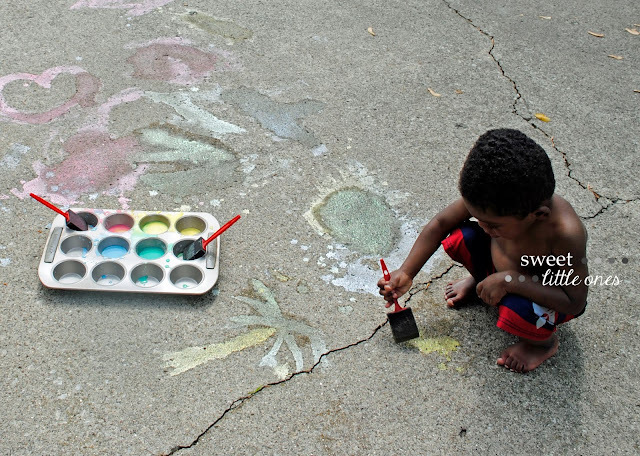 My kids had so much fun "painting" the driveway with this chalk paint. My favorite parts are that it's super easy to make (it only has 3 ingredients!) and clean up, it's ok if it's eaten (because I know my 2 year old will put everything in his mouth! ), and it my kids love it. I think our family is a pretty fun bunch. When we get together, we love to play games. So recently, Katie has been putting together Minute to Win It games for us. (Here are Games 1-5 and Games 6-9 if you'd like to play them too!) They are so much fun! I'm looking forward to seeing what Katie comes up with for us this summer. 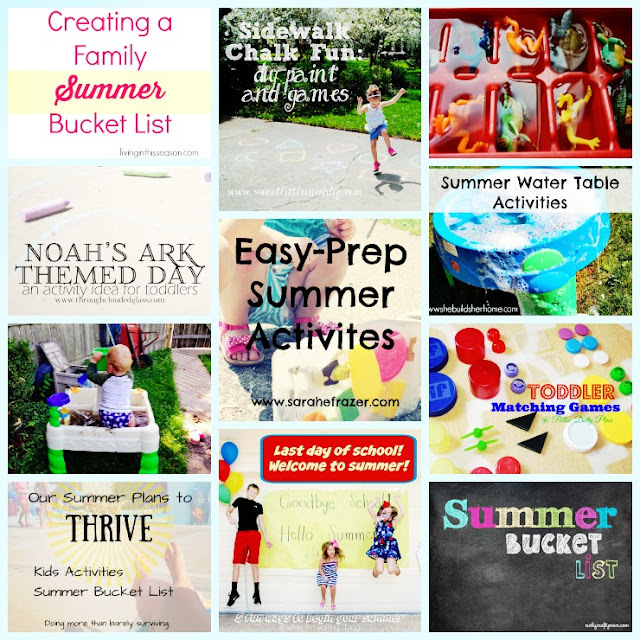 This week, several of my friends and I came up with 11 fun activities, tips, and bucket lists to help you thrive this summer with your family! Listed below are some affiliate links so we will be compensated if you make a purchase after clicking on any of these links. Please see the disclosures and policies page for more information. 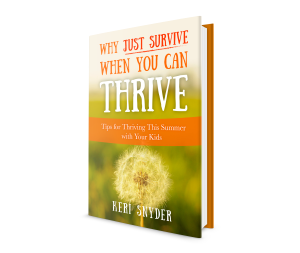 I have loved reading Keri's new ebook Why Just Survive When You Can Thrive*. It encourages you as a mom to have a great summer with your family - no matter what season of life you're in. Keri gives awesome tips and wonderful reflections at the end of each chapter to guide you to not stress, relax, have fun - to THRIVE. I highly recommend it! You can order Keri's ebook here* for $9.99 - now $2.99! 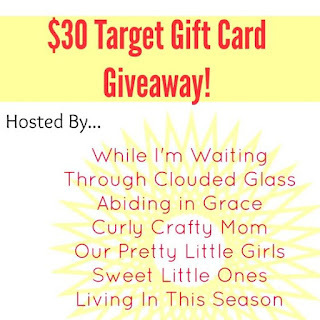 To celebrate Keri's new ebook*, we've come up with a fun giveaway for a $30 Target Gift Card so you can get the supplies you need for a super fun summer! Plus, the winner will receive a copy of her ebook Why Just Survive When You Can Thrive! Have a beautiful holiday weekend celebrating the men and women who protected our gift of freedom in this country! Absolutely love everyone of these. I can't get enough of your family time. Probably because it reminds me so much of us when my girls were growing up. I love your sidewalk chalk games! I went back and read that post- great ideas. You also have very nice handwriting with chalk! It's hard to be neat but your numbers and shapes looked so good! A Summer Bucket List is a great idea. Thanks for the inspiration! I'll be using some of these too! What a great idea, when my kids were younger we created a summer bucket list. followed you from the Inspire Monday party. I love having new things to try with the kids! 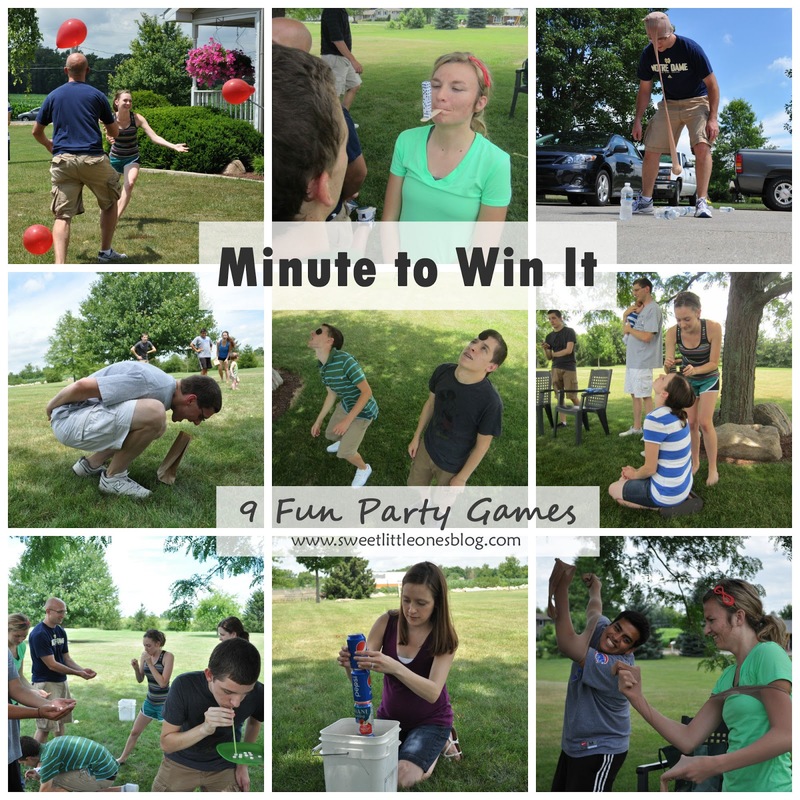 pinning this so I won't foget some of these fun ideas like the minute to win it games - perfect!